As a result of the ongoing opioid crisis, lawsuits related to injuries arising therefrom have increased substantially, as have the progression of the suits. For example, since its creation in December 2017, the Opioid multidistrict litigation (“MDL”) in the Northern District of Ohio has grown to over 1,500 actions. In the MDL, it is alleged, among other things, that manufacturers and distributors of brand name and generic opioids systematically and repeatedly disregarded the health and safety of the public in violation of the Racketeer Influenced and Corrupt Organizations Act (“RICO”). The first set of bellwether cases in the MDL are scheduled to begin in September 2019 and are referred to as the “Track One” cases. The Track One cases are three suits filed by local governments in the state of Ohio, including the city of Cleveland. In December 2018, the MDL court also concluded it was appropriate to create “Track Two” bellwether cases to encompass additional parties and issues. Track Two is comprised of two lawsuits involving the City of Huntington, West Virginia and the County of Cabell in West Virginia. MDL Case: In Re: National Prescription Opiate Litigation, MDL No. : 2804. For personal injury claims arising from the use of talcum powder, 2018 brought a mix of plaintiff and defense victories. In one standout trial, a Missouri jury ordered Johnson & Johnson to pay $4.7 billion over allegations that its talc-based products, such as baby powder, caused 22 women to develop ovarian cancer. The verdict was upheld in December after 22nd Circuit Court Judge Rex Burlison found there was substantial evidence at trial to support "particularly reprehensible conduct on the part of defendants, including that defendants knew of the presence of asbestos in products that they knowingly targeted for sale to mothers and babies, knew of the damage their products caused, and misrepresented the safety of those products for decades." Currently, over 20 trials are scheduled in 2019, including 4 trials to be held in St. Louis Circuit Court and 1 trial in California Superior Court, Alameda County, which began on January 7, 2019 captioned, Teresa Leavitt and Dean McElroy v. Johnson & Johnson, Case No. : RG17882401. MDL Case: In Re: Johnson & Johnson Talcum Powder Products Marketing, Sales Practices And Products Liability Litigation, MDL No. : 2738. RoundUp made headlines in 2018 with the first case to go to trial, DeWayne Johnson v. Monsanto Co. In that case, a California state court jury awarded a $289 million verdict to a career groundskeeper who had endured years of RoundUp exposure and later developed Non-Hodgkin’s Lymphoma. In October, San Francisco Superior Court Judge Suzanne Bolanos reduced the punitive damage award from $250 million to $39.25 million, concluding that the ratio between the compensatory damages and punitive damages must be 1 to 1. Rather than demanding a new trial, DeWayne Johnson accepted the $78.5 million reduced verdict. Hundreds of RoundUp cases are also consolidated as a MDL in the Northern District of California. The first bellwether trial in the MDL is set for February 25, 2019, and the second is scheduled for May 25, 2019. MDL Case: In Re: Roundup Products Liability Litigation, MDL No. : 2741. Bellwether trials concerning Risperdal began in 2015 and it has since remained one of the top mass tort litigations to watch. A large number of Risperdal cases will be heard in 2019, especially in Philadelphia, Pennsylvania. 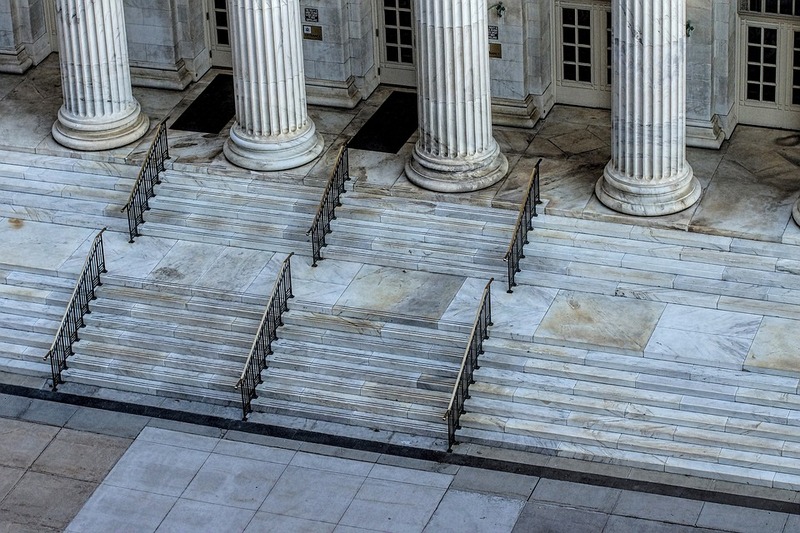 In the Philadelphia Mass Tort program, a three-judge-panel held that plaintiffs with pending suits may seek punitive damages. The first trial since the ruling begins on January 29, 2019. It is the eighth case to go before a jury in the Philadelphia litigation since January 2015. The Philadelphia court also issued a case management order in September 2018, which tentatively sets trial dates for 12 groups commencing in June 2019 and continuing each month thereafter until May 2020. Philadelphia Court of Common Pleas Case: In Re: Risperdal Litigation, March 2010 Term, No. : 100300296. In June 2017, all federal Ethicon and Johnson & Johnson Physiomesh lawsuits were consolidated into a MDL in Northern Georgia under U.S. District Judge Richard Story. Plaintiffs in the suits all similarly allege, inter alia, that the hernia mesh was defectively designed and manufactured. In January 2019, Judge Story ordered each party in the Ethicon MDL to select 5 cases from the initial discovery pool (i.e. 10 in total) to proceed with expert discovery ("Trial Pool Cases"). The court set the first trial with respect to the Trial Pool Cases for February 3, 2020. MDL Case: In Re: Ethicon Physiomesh Flexible composite Hernia Mesh Products Liability Litigation, MDL No. : 2782.